Commander of the unit that intercepted UAV from Syria: My soldiers and I are prepared for the holiday. 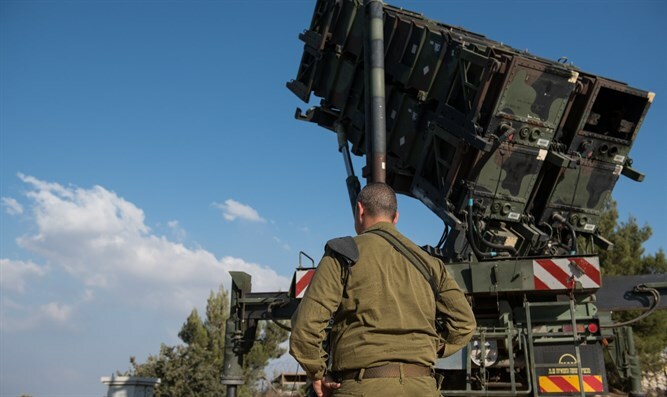 Lt. Col. Gilad, commander of the 138th Battalion of Israeli Air Defense Command, on Tuesday evening addressed the incident in which an unmanned aircraft was intercepted as it approached Israeli territory from Syria. "This afternoon, an unmanned aerial vehicle was spotted in the buffer zone in the Golan Heights," Gilad said. "The fighters of the Air Defense Command intercepted the UAV and prevented infiltration into our territory." "My soldiers and I are prepared for the holiday, and we will continue to protect Israeli citizens and the airspace of the State of Israel on Rosh Hashanah as well. Happy New Year to all of Israel!” the officer added. On Tuesday at midnight, the IDF imposed a general closure on the Palestinian Authority-assigned areas of Judea and Samaria and shut down the crossings to and from Gaza, in accordance with a security assessment and the directives of the political echelon. The crossings will be reopened and the closure will be lifted after Rosh Hashanah, on Saturday night, in accordance with an assessment of the situation. During the closure, only humanitarian, medical, and exceptional cases will be permitted entry, all subject to the approval of the Coordinator of Government Activities in the Territories.